Dr. David Jernigan, Biologix Center: Can Lyme Disease Be Cured? The following are taken from Dorland’s Medical Dictionary and Stedman’s Medical Dictionary. Reading these definitions one immediately notices that at no time does the word cure mean all the bacteria are gone. A patient of mine said it best on a Lyme forum, “Antibiotics are for killing, not healing.” Now doctors may read this and say the antibiotic “killing” of the bacteria creates healing by eliminating the cause of the disease…but in their own scientific scrutiny does this line of thought hold up to its claims? Not according to the Journal of the American Medical Association (JAMA), the worlds leading, peer-reviewed, medical journal. Can Lyme disease be cured? Before answering that question, possibly the medical dictionaries are not using the same definition as the general public. 3. A successful remedial treatment; restoration to health. 4. A means of correcting or relieving anything that is troublesome or detrimental. So we see that when the body is optimally healthy we enjoy symptom-free life. When the body is weakened we experience dys-ease. When a person gets over strep throat they are cured and the symptoms go away without antibiotics within 10 days. Does this mean they will never get strep throat again? Are they a ticking time bomb just waiting to go off? No! If they go to a rock concert and yell and scream, while drinking copious amounts of alcohol, and breathing in smoke, then the mucus membranes in the throat will be damaged and the strep bacteria, which were always there even in the healthy throat, create the “strep throat” symptoms again. “But this is Lyme disease!” I can hear people saying. “But I was completely healthy before I got bitten by a tick!” Of course the bacteria do matter once it has gotten out of control in a person’s body. And no, you were not optimally healthy before you got bitten, even if you were a tri-athlete. No bacteria can thrive in an optimally healthy human. 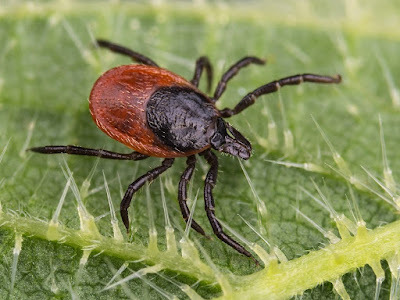 In medical “science” it is convenient in a disease like Lyme disease, where the laboratory tests have such a high rate of false-negative tests, that after a course of antibiotics a person is often proclaimed cured when the follow-up lab tests come back negative. The person with the Lyme disease is left in a perplexing position because often none of their symptoms are gone and their health has definitely not been restored. This is not good science. So do I believe that Lyme disease is curable? Yes, absolutely, to the degree that your body can be repaired. If your body has been damaged beyond repair by the medicines, by accidents, by surgeries, by radiation, by trauma by any means, it will be limited to that degree. This is the goal of American Biological Medicine, to use the best scientific understanding and to push the natural science as we understand it, beyond the simplistic blood tests, and yes it is simplistic to base health on the presence or absence of bacteria or antibodies present in the blood, to work with the perspective that at no time can or should a doctor harm one part of the body in order to correct another. When through whatever methods, natural or otherwise, a person experiences a restoration of health, by definiton they are cured. Dr. David A. Jernigan is the owner and founder of the Hansa Center for Optimum Health. Dr. Jernigan is author, researcher, and has studied advanced science in healing around the world. He has appeared on TV, lecutured on radio, podcasts, and lectured nationally and internationally at medicine conferences and forums. For almost 25 years the Hansa Center for Optimum Health, in Wichita, Kansas has specialized in the restoration of health for people with previously unresponsive and chronic illnesses of virtually all types. Over 85% of people come from other states and countries. If you have done everything you and your doctor know to do and are still struggling, contact our wonderful Patient Care Department at 316-686-5900 or by email patientcare@hansacenter.com, for information on the exciting new treatments we have developed at the Hansa Center for Optimum Health. For additional info including our New Patient Packet, visit our website at www.HansaCenter.com.